Reginald Rodney Myers was born on 26 November 1919 in Boise, ID. He received his early schooling and graduated from high school in Salt Lake City, UT. He graduated from the University of Idaho in Moscow, ID, in June 1941 with a Bachelor of Science degree in Mechanical Engineering. He attained the rank of Cadet Colonel in the Reserve Officers Training Corps at the University. On 1 September 1941, he resigned his Army Reserve commission to accept appointment as a Second Lieutenant in the United States Marine Corps. Second Lieutenant Myers completed Marine Officers' Basic School at the Philadelphia Navy Yard and then served as a company commander at the Marine Corps Base, San Diego, CA. In June 1942, he joined the Marine detachment on board the USS New Orleans for a year duty at sea. While on the New Orleans, he fought the Japanese at Guadalcanal, Tulagi, the Eastern Solomons, and Tassafaronga. He was promoted to First Lieutenant in October 1942 and to Captain in April 1943. In July 1943, Captain Myers became Commanding Officer of the Marine detachment on board the USS Minneapolis. While aboard the Minneapolis, he participated in the Gilbert, Marshall, Marianas, and Western Caroline Islands campaigns. Returning briefly to the United States in October 1944, he was promoted to Major in January 1945. Major Myers again returned to the Pacific area in June 1945, and served with the 5th Marines, 1st Marine Division, during the assault on Okinawa, and in the landing on and occupation of Northern China. He returned to the U.S. in May 1946, and served at Mare Island, CA; Norfolk, VA; and Cherry Point, NC. At Cherry Point, he served as Assistant G-4, Aircraft, Fleet Marine Force, Atlantic, and 2nd Marine Aircraft Wing, from August 1948 until May 1950. Ordered to Korea in July 1950, Major Myers served as Executive Officer, 3rd Battalion, 1st Marines, First Marine Division. For his part in the Inchon landing on 15 September 1950, he was awarded the Bronze Star Medal with Combat "V," and for his heroism in helping to rescue two wounded Marines four days later, he was awarded a Gold Star in lieu of a second Bronze Star Medal. On 29 November 1950, the Chinese Communists threatened to envelop the United States Tenth Army Corps forces at the Chosin Reservoir. During the ensuing battle, Major Myers fearlessly led 250 United Nations troops to victory over 4,000 of the enemy. For his heroic actions on that date, then-Major Myers was awarded the Medal of Honor. Although he emerged unwounded from the Hagaru-ri engagement which earned him the Medal of Honor, he was wounded in action on 25 April 1951. For conspicuous gallantry and intrepidity at the risk of his life above and beyond the call of duty as Executive Officer of the Third Battalion, First Marines, First Marine Division (Reinforced), in action against enemy aggressor forces in Korea on 29 November 1950. Assuming command of a composite unit of Army and Marine service and headquarters elements totaling approximately 250 men, during a critical stage in the vital defense of the strategically important military base at Hagaru-ri, Major Myers immediately initiated a determined and aggressive counterattack against a well-entrenched and clearly concealed enemy force numbering an estimated 4,000. Severely handicapped by a lack of trained personnel and experienced leaders in his valiant efforts to regain maximum ground prior to daylight, he persisted in constantly exposing himself to intense, accurate and sustained hostile fire in order to direct and supervise the employment of his men and to encourage and spur them on in pressing the attack. Inexorably moving forward up the steep, snow-covered slope with his depleted group in the face of apparently insurmountable odds, he concurrently directed artillery and mortar fire with superb skill and, although losing 170 of his men during fourteen hours of raging combat in sub-zero temperatures, continued to reorganize his unit and spearhead the attack which resulted in 600 enemy killed and 500 wounded. By his exceptional and valorous leadership throughout, Major Myers contributed directly to the success of his unit in restoring the perimeter. His resolute spirit of self-sacrifice and unfaltering devotion to duty enhance and sustain the highest traditions of the United States Naval Service. 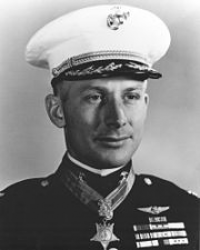 Major Myers received his Medal of Honor from President Harry S. Truman in a White House ceremony on 29 October 1951. It was a joint-ceremony with Chosin Reservoir Medal of Honor hero Carl Sitter. Sitter received his medal, in part, for his reinforcement of Major Myers on East Hill on the second day. The two men were life-long friends, and Myers gave considerable interview footage to the documentary "Beyond the Medal of Honor" which told Sitter's story. Major Myers returned to the United States in June 1951. That August he reported to the Basic School, Marine Corps Schools, Quantico, as a battalion commander. While at Quantico, he was promoted to Lieutenant Colonel in December 1951. 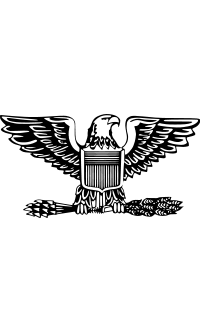 Assigned next to Washington, DC, Myers served as Inspector-Instructor of the 5th Special Infantry Battalion, USMCR, from September 1952 through August 1953; and Inspector-Instructor, 13th Infantry Battalion, USMCR, from September 1953 through July 1955. Following this assignment, he entered the Senior School at Marine Corps Schools, Quantico, and completed the course in June 1956. Lieutenant Colonel Myers remained at Quantico until April 1958, serving as Commanding Officer, Headquarters and Service Battalion, and Executive Officer, Basic School, respectively. From July 1958 until August 1961, he was assigned as Assistant Naval Attaché at the American Embassy in London, England. During this assignment, he was promoted to Colonel in July 1960. In September 1961, Colonel Myers was assigned to the Office of the Chief of Naval Operations, serving as Head, International Plans Section, Strategic Plans Division, until June 1963. The following month, he joined the 3rd Marine Division on Okinawa for duty as Troop Exercise Coordinator until June 1964. Upon his return to the U.S., he completed the Industrial College of the Armed Forces in July 1965. He received his Master of Science degree in Business Administration from George Washington University in September 1965. Colonel Myers was assigned duty at Headquarters Marine Corps with the G-L Division in August 1965. He served briefly as Director, Marine Corps Personnel Research and Analysis Office, then as Executive Officer to the Assistant Chief of Staff, G-L. Colonel Myers retired from active duty in the Marine Corps on 1 May 1967. Letter of Commendation With Combat "V"
On 3 August 2006, in a ceremony at the Marine Barracks in Washington, DC, Commandant of the Marine Corps, General Michael Hagee presented the Medal of Honor flag to Myers' widow, Margaret Myers. Colonel Reginald Rodney Myers died on 23 October 2005 and is buried in Arlington National Cemetery in Arlington, VA, in Section 60, Lot 884.